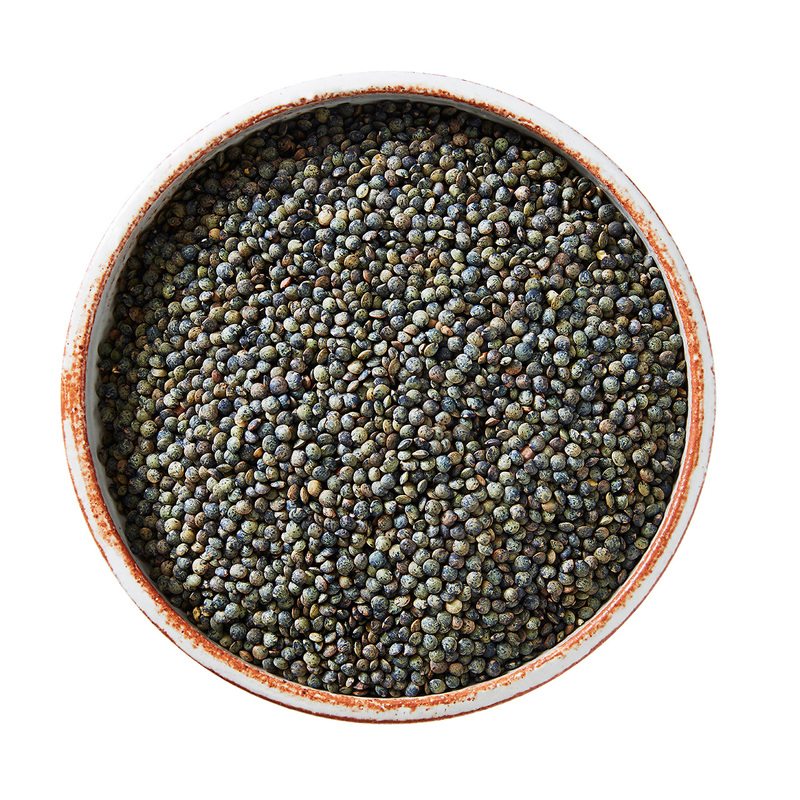 As the name suggests, these lentils are a variety originating from Puy in France. However these lentils grow exceptionally well in the soils of the Wimmera, and are a favourite amongst our restaurant customers. Renowned for their deep nutty flavour and for holding their shape when cooked, these lentils are as perfect for summer salads as they are in winter soups and braised dishes. A great companion to feta, chevre, mint, peas, tomatoes and game. These lentils do not need to be soaked and take about 20 minutes to cook. *Due to unfavourable weather conditions we are unable to offer the bio-dynamically grown version of this product that we've sold in the past. These French Style Fine Green Lentils are conventionally grown in the Wimmera.